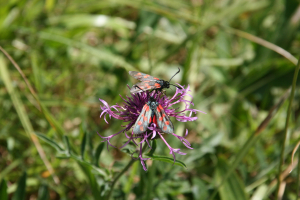 Observation - Six-spot Burnets - UK and Ireland. Description: Six-spot Burnets on Knap Weed on a grassy road-side verge. Six-spot Burnets on Knap Weed on a grassy road-side verge.